Recently NARS caused cruelty-free chaos by announcing that, although it still really cares about being cruelty free & ending animal testing, it cares about profits more & has decided to sell in the Chinese market. 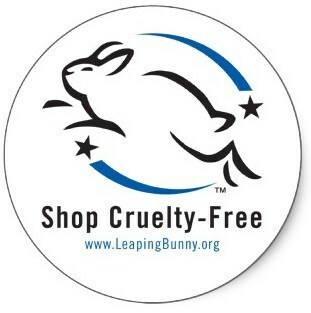 For those of you new or alien to the concept of cruelty free products, selling cosmetics & personal care to the Chinese markets means that, under Chinese law, the product must be tested on animals. So even if NARS don’t have animal testing performed on their ingredients or products for the European market, they must have the tests done for the Chinese markets – ergo the brand ceases to be Cruelty Free. Inevitably when companies make a move like this, Cruelty Free advocates get mad & there’s backlash – kind of like there was on Twitter last week when the news broke. NARS wasted no time, however, in posting a statement on their instagram claiming that, by making their products available to fans in the Chinese market they’re still being dead keen on protecting the interests of animals in the long run, and that actually they still do loads of good stuff. Good stuff is great, but why are they taking a step backwards? Their post sounds kind of contradictory – they’re super against it, but only if it doesn’t interrupt financial growth? Hmm. But here’s one of the worst bits – NARS could have always sold to the Chinese market from outside of China without compromising their Animal Testing policy. Chinese Law does not require companies outside of China to test products on animals if they’re shipping into the country – only if they’re shipping domestically from within China. See more on this here. I can’t honestly say I know about the cost/profit implications of selling as imported product vs selling domestically, but it seems to me that, if NARS were still concerned with not testing on animals, but also didn’t want to alienate their Chinese fans, then surely this would be a more ethical option? Is it likely that their advertising opportunities would be limited/restricted/forbidden when selling from outside of China into China? Can anyone shed any light on why they’ve made this decision? I have to say I’m disappointed that I won’t be able to wear NARS any longer, but I’m sure I’ll find a kinder alternative. Can anyone recommend one? ← The Best Hiking Boots for All Terrain?